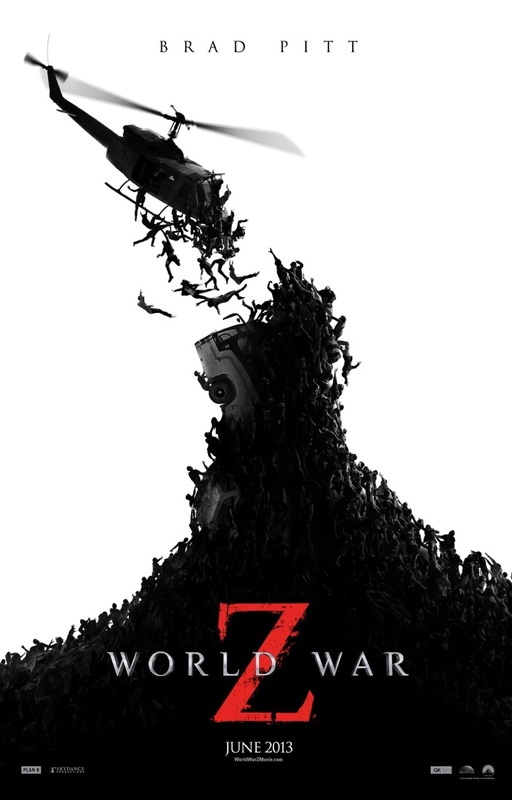 This entry was posted in Movie, Reviews, War Movie and tagged Action movie, Brad Pitt, Disaster movie, Female soldier, Max Brooks, Movies, Review, War Movie, World War Z, Zombie movie. My favourite zombie film is George A Romero’s original version of Dawn of the Dead. This sounds pretty rubbish, and brings up a similar question to one you asked about the current slew of horror: why have zombie movies suddenly become mainstream? Once upon a time they used to be the most looked-down on of all cinematic genres. I don’t think I’ve watched Dawn of the Dead. I should. Yes, this was rubbish. If I wrote detailed reviews I would have listed the faulty logic all through the movie and guess 500 words would not have been enough. True, they have become mainstream. Even zombie love stories are thinkable. I tried to watch Warm Bodies but I had to give up. After all that vampire snogging, they had to up the ante I suppose. I Walked with a Zombie (1943). But it’s an easy choice for me, since I haven’t seen many of the others. An army of living dead appears at the end of a very early war movie, Abel Gance’s J’accuse (1919). It is composed of soldiers dead in WWI. However the only contagious thing about them is their pacifism… well, as we know it didn’t work. Most are lacking tragically on the artistic front but then again, most want to be and are trashy. I’ve got one that could be interesting. The Serpent and the Rainbow. I joyfully indulge in apocalyptic & post-apocalyptic movies… with a ‘realistic’ (or ‘un-fantastic’) background, however corny. Battle Los Angeles was fun. I started Battle Los Angeles three times but never managed to watch more than 15 minutes . . . It looks horrible, which is annoying because I really, really, really liked the book. There was no action hero, just a reporter traveling around the world interviewing survivors of the zombie apocalypse. Even though it was written by an American, most of the book takes place outside the US, the strategies for defeating the zombies come from other countries, and the American military is humiliated by its failure to stop the zombies. sorry, probably wrote too much, but I really liked the book. No, not at all, you didn’t write too much. I’m glad you confirmed my suspicion. I had the book in my hands and liked the approach a lot. You can immediately see that it was written by a historian because of the “oral history” aspect. The movie pretends to have others find a cure but in the end it’s an American investigator. I’m in the mood to read the book now. Thanks. I saw this in a theater and was disappointed. One of the things I like about zombie movies is the buildup to the epidemic. This movie plunges in with zero exposition. Suddenly the zombies are in NYC where coincidentally Pitt and his family are. Ridiculous! I also found the Jerusalem scene to be ridiculous. I do not really have a favorite zombie movie. I guess I’d say “Dead Snow”. It’s actually more of a war movie than WWZ. I did not really like Shaun of the Dead. Not funny enough. I do watch The Walking Dead series and it is excellent. Why zombie movies now? I think they play into a worldwide angst that something bad and uncontrollable is lurking in the future. I know a lot of Americans are pessimistic about the future. And I feel the same about this movie. That’s what I meant when I said it was full action right away which was boring. You phrased it better. No built-up. It was just meh. I think you’re the only perosn I know who didn’t like Shaun of the Dead. Maybe it’s a cultural thing? British humour. I’ll have to look into Dead Snow. I normally like British humor. I need to watch it again, I guess. Maybe I wasn’t in the right mood. Dead Snow might fit into your recent horror movie binge. Yes, maybe you were not in the right mood.